Let's get cooking! Kitchen Stove comes with plenty of space to keep jam jars, salt and sugar. 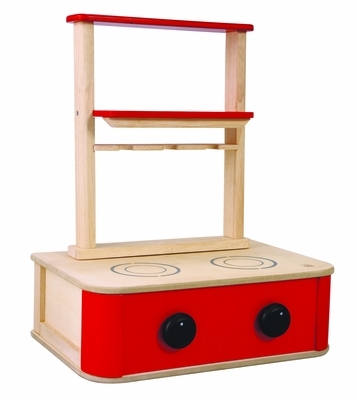 Children can turn the knob on the kitchen stove and pretend cooking on high or low flame while role playing. Unit measures 15.6" x 11.6" x 19.3". Made of rubberwood and printed with soy ink.